Ruth Kathryn Pryer Hardisty, of Carmel Valley, CA passed away peacefully in Carmel on October 1st at the age of 90 with her family by her side. Ruth was born on September 22, 1927 in Taft, California to John and Kathryn Tregea and was proud to be a fourth generation Californian. Ruth grew up in Kern county California where she helped her parents operate their cattle ranch in Lebec and attended Maricopa High School, graduating in the class of 1945. She attended UC Berkeley, graduating with a Bachelor's Degree in 1949. Ruth became a Physical Education teacher and taught at Salinas, Campbell and Willits High Schools. She moved to Carmel Valley in 1961 for the sunshine and natural beauty and to be close to her parents, by then ranching at Rancho Palo Escrito. 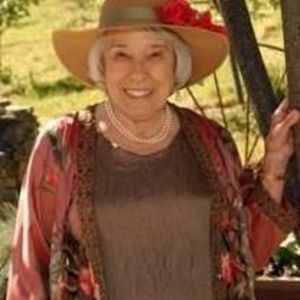 She loved Carmel Valley, resided there for 55 years and was active in the community as a member of the Women's Club, chair of the annual Fiesta in the late 60's, a member of the CV Advisory Board, and an early supporter of the CV Historical Society. Her generosity, kindness and caring for her community are part of her legacy. In the 1970's Ruth became a real estate agent, working at several local offices before spending most of her career at Porter-Marquard Realty. She cherished her community at St Dunstan's Episcopal Parish where she was a member for more than 40 years. She also had a long standing affiliation with the Carmel Valley Community Chapel, where her parents were founding members and she was a member and supporter. Ruth was always active and had an adventurous spirit. She loved to play tennis, swim, hike, water ski, canoe, and ride horseback. She was an early adopter of road biking and covered many miles with her ladies bicycling club. She was an avid outdoorswoman and loved camping throughout her life, particularly with her second husband, Milton, and grandson, John, at Big Sur and Pinecrest Lake. Ruth and Milt loved to travel and vacationed in places like Hawaii, Greece, Italy and Costa Rica. She took hiking tours in France and Italy, researched her ancestors in England, mushed sled dogs in Alaska and took a ride in a hot air balloon in the Napa Valley. She went parasailing for her 75th birthday and skydiving over the Monterey Bay for her 80th birthday. Ruth was preceded in death by her parents, John and Kathryn Tregea, and her husband, Milton Hardisty. She is survived by her sister, Mary Jean Ingraham; her first husband, Rex Pryer, and their daughters, Nancy Pryer (Jack) and Sandra Tofte (Rune); her grandchildren , John Ferguson (Kristina), Hana Ferguson and Henry Jackman and by her great-grandchildren, Cameron, Wesley and Stella Ferguson. She passed along to them her love of California history and natural history, camping, travel and adventure, and she will be deeply missed by all. A memorial service will be held on Friday, October 20th at 10:00 am at St. Dunstan's Episcopal Parish, 28005 Robinson Canyon Rd., Carmel, CA. Donations in Ruth's name may be made to the Ventana Wildlife Society 19045 Portola Dr., Suite F1, Salinas, CA 93908. Please visit www.thepaulmortuary.com to sign Ruth's guest book and leave messages for her family.